Asia’s disputed waters: Who claims what? 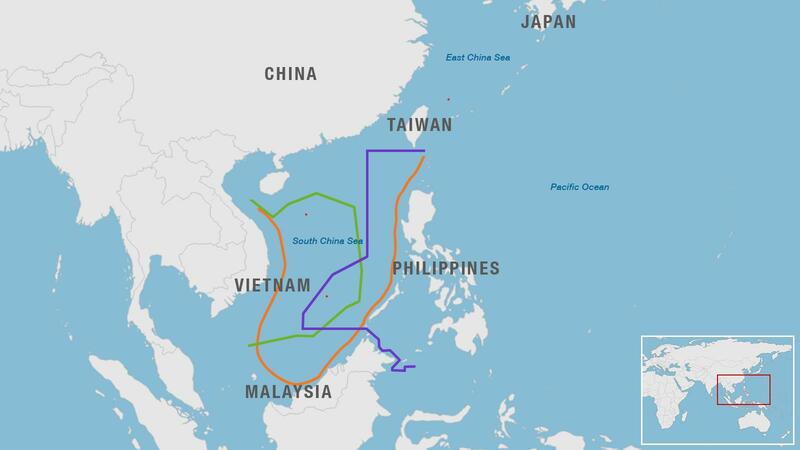 From the East China Sea to the South China Sea, tensions have long simmered between rival countries staking claims to these strategically located and resource-filled waters. CNN looks at the main flashpoints. China and Japan have faced off over these rocky islands known as Diaoyu in Chinese and the Senkaku in Japanese. Taiwan also claims sovereignty. China controls the Paracel islands; they are also claimed by Vietnam. They're located close to proved and probable oil reserves.